This is what happened to the fruit I photographed earlier. 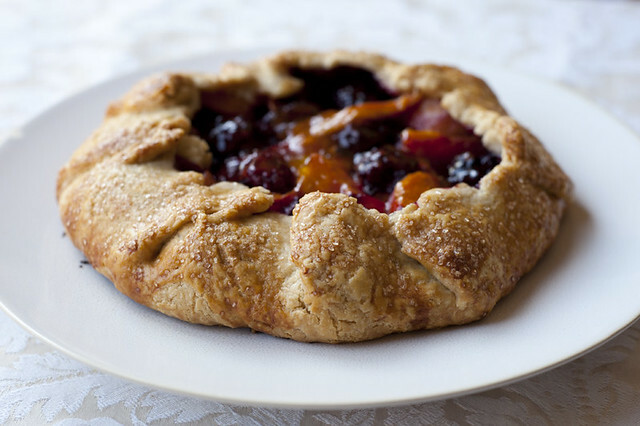 Blackberry and Apricot Galette. Pâte brisée recipe from Smitten Kitchen. 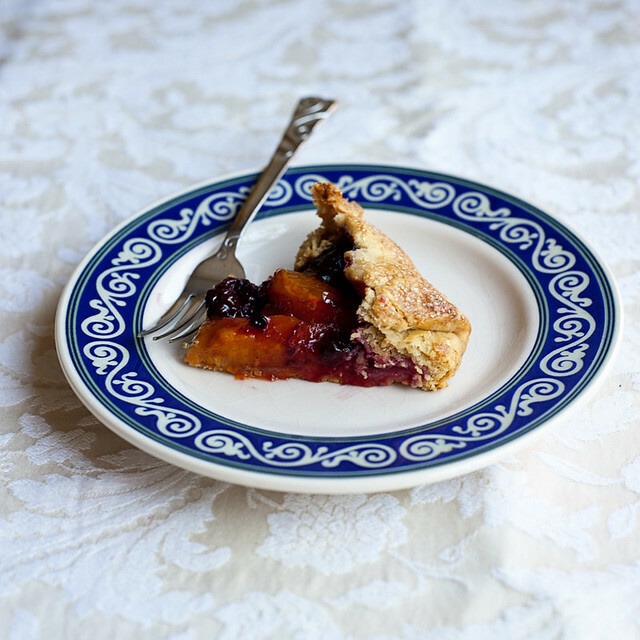 With homemade whipped cream, it was simply marvelous. I think if photography wasn't my calling, I could be quite happy as a pastry chef. I love making things like this.